Today’s luxury consumers are decisive buyers and connoisseurs of what best suits their lifestyle. They’re also accustomed to receiving faultless service — and this expectation doesn’t change when they switch roles from buyer to seller. When it comes time for them to list their one-of-a-kind homes, your clients will rely on you for expert guidance. To identify the most pressing considerations luxury home sellers face, we spoke with Michael Dreyfus, President of Silicon Valley for Golden Gate Sotheby’s International Realty. With over 25 years in residential real estate, he has a firm foundation in how best to respond to the concerns of the luxury home seller. A committed real estate agent can provide the best counsel to luxury home sellers by anticipating some of their most common questions. The high-end home market is anything but run-of-the-mill. What constitutes a “luxury” property can fluctuate depending on location, and it’s important to bring your dynamic knowledge to bear on valuing and listing exclusive or uncommon homes. Using comps to help price a home is standard practice, but what about a situation where the property in question is one-of-a-kind? This is when a solid understanding of current inventory — at times internationally — coupled with an effective buyer profile can lead you to the right valuation of a high-end listing. “You must understand the opportunity of the house, its unique attributes, and then estimate the size of the market that would value those attributes and can afford them,” says Dreyfus. An exceptional house calls for an exceptional buyer — and this is not the buyer readily found via traditional channels. One of your most powerful tools is your network: your past and present clients, your professional contacts and associates, any firms and brokerages you may be affiliated with. Your clients want to be reassured that you have the connections necessary to spread the word. An active social media presence can also help extend your reach to the right buyers in the right markets. Also, spare no expense on marketing. 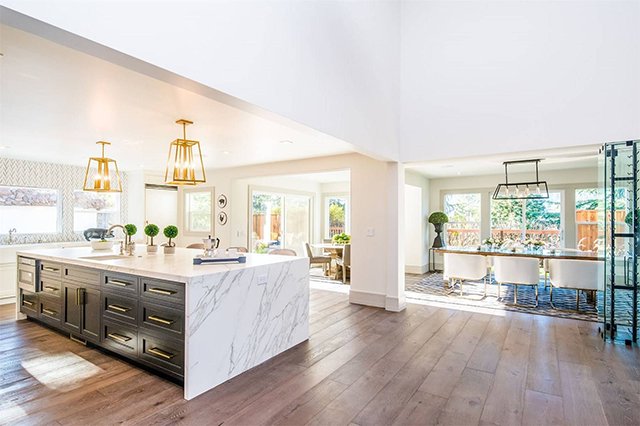 Luxury buyers want to see top-quality photography and professional video, as well as an exhaustive list of the features they can enjoy — from architectural details, to appliances and amenities, to local attractions and lifestyle. Like any seller, a high-end client will want to know how long their home will remain on the market. And Dreyfus sees this as intrinsically linked to their other inquiries. “All three of these questions are related,” he notes of appraisal, buyer engagement, and selling times. By knowing the value of a home, you can infer the size of its viable buyer pool. “This, in turn, will give you a better estimate of time needed to sell. Fewer buyers, more time. Anticipating the three questions that will undoubtedly come up with any luxury buyer — and being ready to answer them — will give you an edge and go a long way to earning you the trust of your perceptive affluent clients.